What started out as an experiment has (blessedly) turned into a way of life for our family. 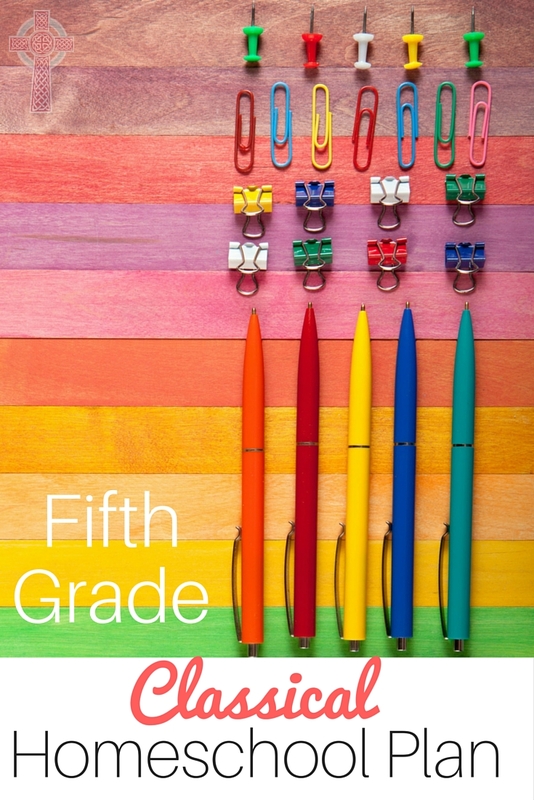 This fall, we enter our SIXTH year of homeschooling and I’m amazed at how far we’ve come. I’ll break down all of Rachel’s subjects for this year – as she enters the fifth grade. Our entire family is completely and totally pumped for this years Literature selections. We’re about to embark on some amazing novels set during the Middle Ages. A few weeks before we start our novel, we begin listening to it on Audible. This way, the entire family can listen and enjoy the story. Plus, I can multitask, doing laundry while I ‘read’. Looking for another option for used books? Don’t miss out on Thriftbooks.com. The selection is wonderful, along with coupons, frequent buyers’ rewards, and free shipping with a $10 purchase. This year, Rachel moves in to Classical Composition: Narrative. As I’ve watched her grow, I’ve realized she’s a natural writer. That makes part of composition easy for her, but she still needs to learn how to polish up her message. 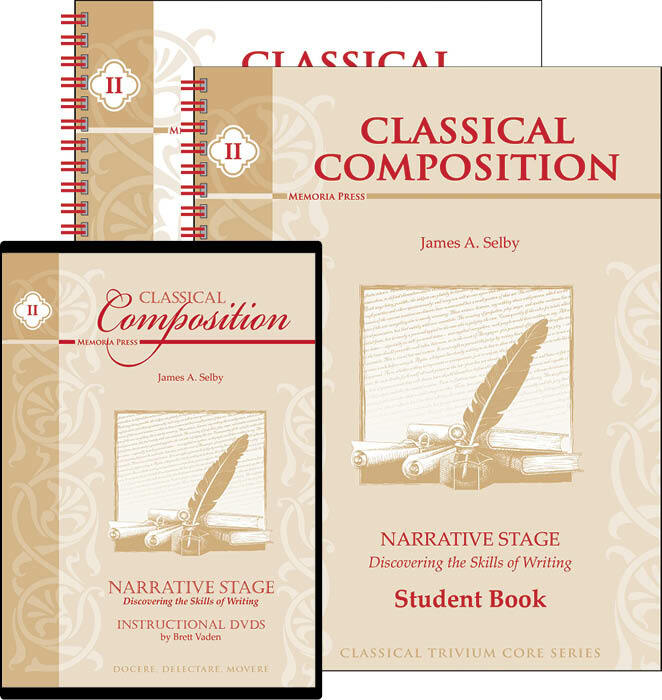 Classical Composition: Narrative picks up where Fable leaves off. Students follow the same writing process, outlining, devising variations, recognizing conflict and resolution and more. They now apply these concepts to longer passages instead of the shorter fables. I’ll admit. Last year, when looking at Rachel’s plan, I thought that Famous Men of Rome would be a bit dull. I couldn’t have been farther from the truth. She loved learning about Romulus and Remus, Cincinnatus, Julius Caesar and Nero. I was amazed how important Roman history is to our modern day times. 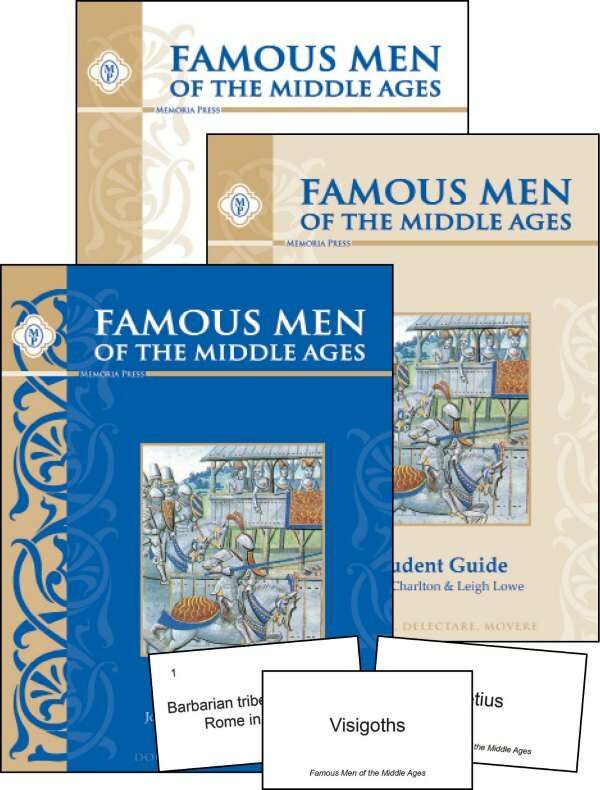 This year, we’ll be embarking on a new quest, and studying Famous Men of the Middle Ages. 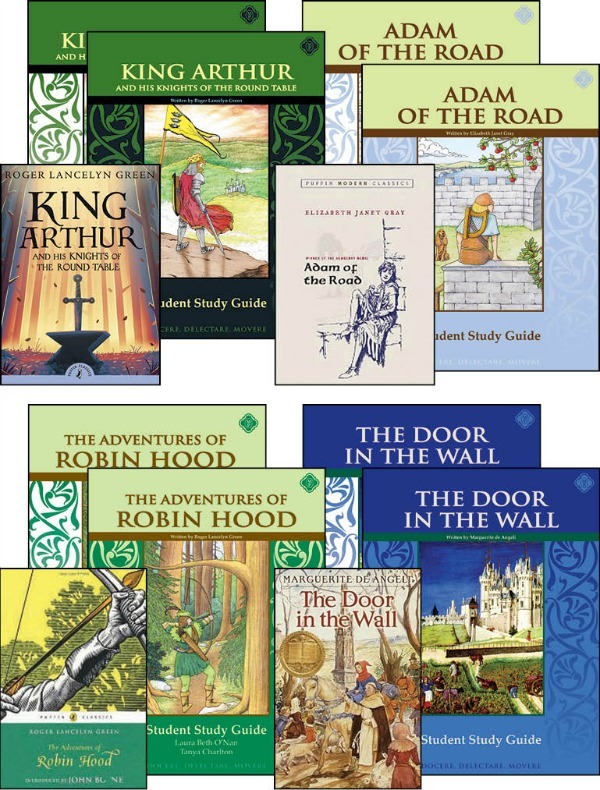 We’ll be studying Marco Polo, Joan of Arc, William the Conqueror and more. A few weeks before school starts, I’ll load FMoMA onto my Kindle and start reading it myself. We’ll also listen to it on Librivox for free. It’s hard to believe that this will be Rachel’s fourth Latin course. As a parent, I think Latin is difficult, but it’s an area where she absolutely shines. She loves it, sees it as a big puzzle, and never complains about reviewing flashcards or doing grammar drills. We spent the latter part of the summer taking a First Form Review class in the Memoria Press Online Academy. (I’ll be sharing our experiences later — it worked beautifully for us) In a few weeks, she’ll dive in to Second Form Latin. This marks the halfway point in her Latin journey! Math isn’t one of our favorite subjects around here (at least not for Rachel). I’m happy with our math curriculum (Rod and Staff), but we have a little bit of trouble with keeping her motivated. Math doesn’t come as easily to her as literature-based subjects. Periodically, we have to pull out different ideas or math games to change up our day a bit. Rod and Staff is a mastery based program, and entirely scripted, so it’s easy for me to teach. We condense some of the exercises, only practicing as much as we need. I’ll be the first to admit that we haven’t done a lot of formal science here. My kids seem to pick up a lot of science concepts from watching documentaries, studying insects, animals and birds in our own backyard, and exploring the creeks in our neighborhood and local parks. Rachel was thrilled to see What’s That Bird as a science focus this year. 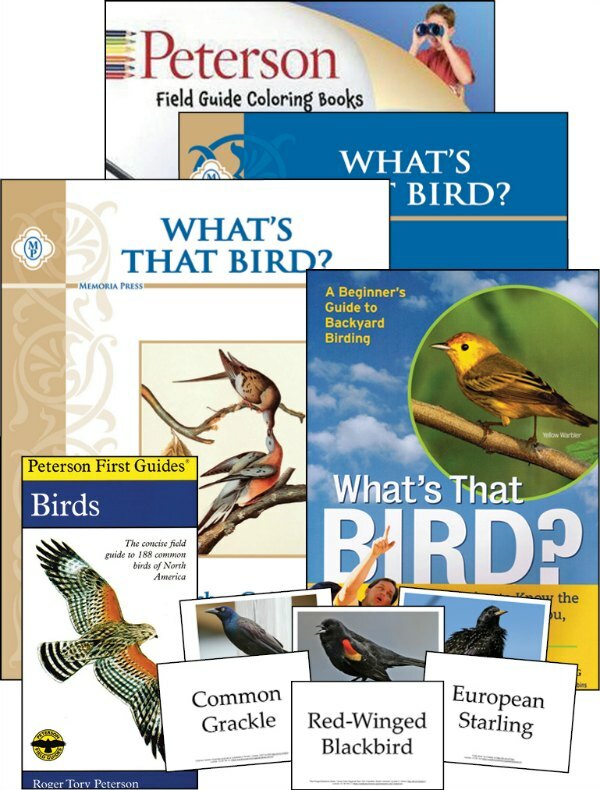 We actually started the series in the late spring, just in time to watch baby robins, cardinals, mockingbirds and grackles in our yard. Her brothers gather around her as she reads aloud, and they all marvel at birds’ incredible design. 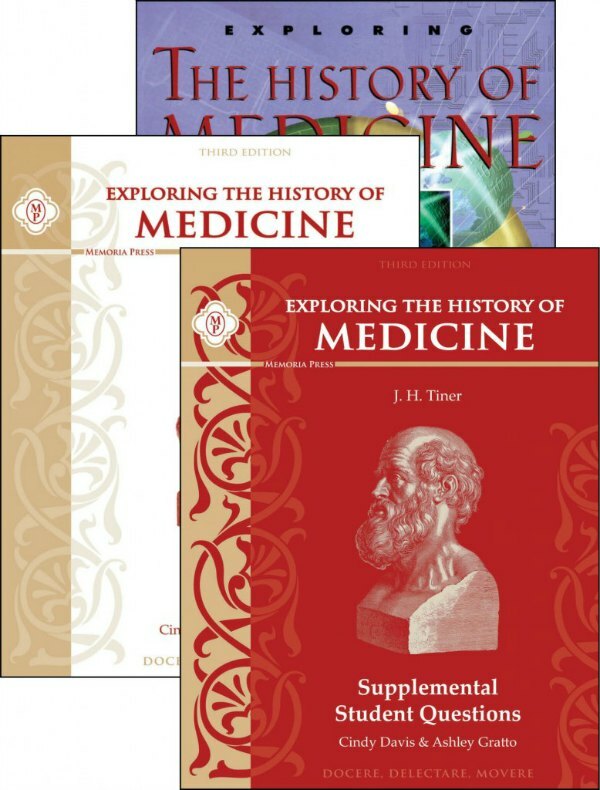 The Birds study will run about a half semester, then it’s time for my favorite — The History of Medicine. As a nurse, this fascinates me. I picked up the Tiner book that serves as our text and read about half of it while Rachel was at riding lessons one day. Note: This book is geared for the middle school set — Memoria recommends it for grades 5 through 7. If you have a sensitive child, you may want to read through some of it first. I discussed the Death House in Vienna chapter with Rachel – about the advances made in physician hygiene and childbirth practices. I was amazed at how far we’d come, while she sobbed about the lives lost. We’ll have to tread carefully. Time for a true confession. 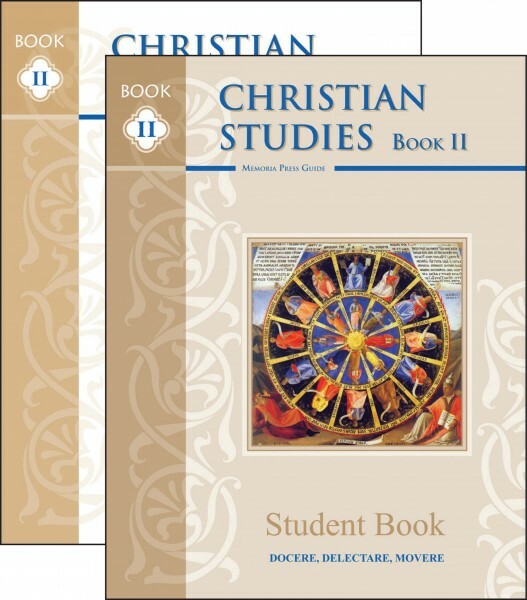 I have been a Christian Studies drop out. For some reason, it was a subject in which we just couldn’t seem to get into a routine. After spending time with other MP homeschooling moms at the Sodalitas gathering, I came away refreshed and ready to make this a priority in our homeschool. 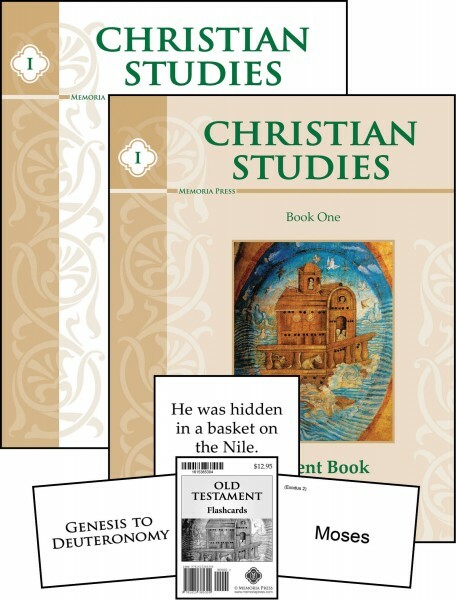 Christian Studies is designed to develop Bible literacy, knowledge of church history, along with a strong faith and Christian consciousness. We will be jumping back in this fall as a family, reading the Bible passages together, then I’ll take time with Rachel to discuss them more in detail. 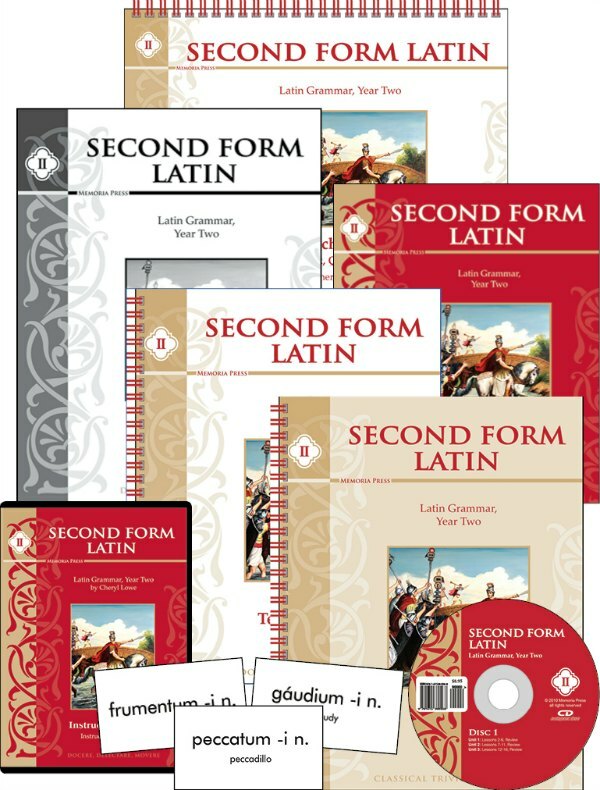 With the study of Latin, much of English grammar is already covered. 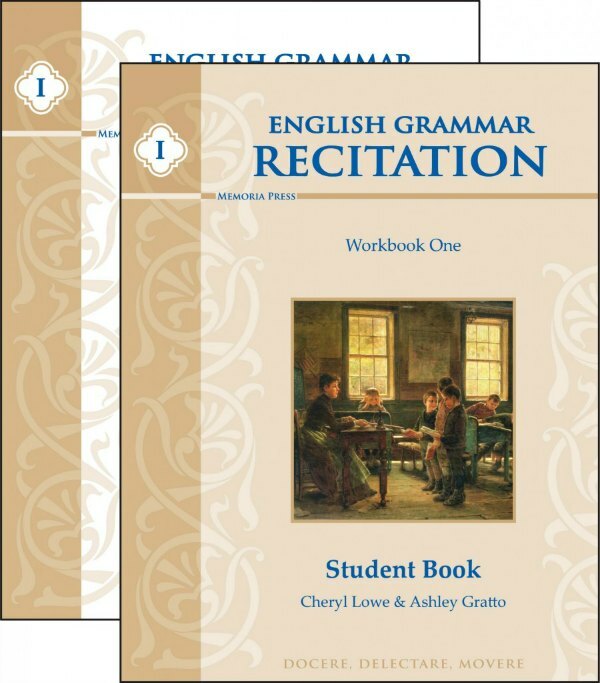 We use the Memoria Press English Grammar Recitation program, which works catechism style. With EGR, we master grammar rules, punctuation and capitalization rules. She puts these into practice with her composition course. Time for another true confession. Spelling is one of those subjects that seems hard for me to teach. I’m a good speller naturally, but that doesn’t mean that teaching it comes easily. We even took a break from spelling a few years ago because we were having daily battles. At this point, we’re finishing up Spelling Workout Level D and will be moving on to E soon. 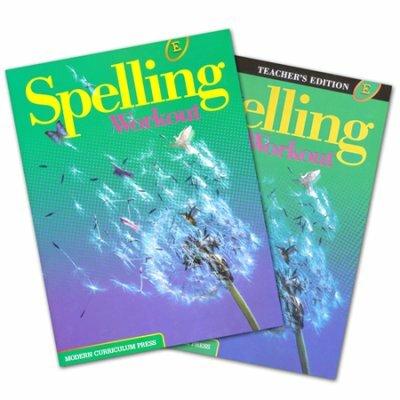 Spelling is one of the subjects we do on a year round basis, like math. 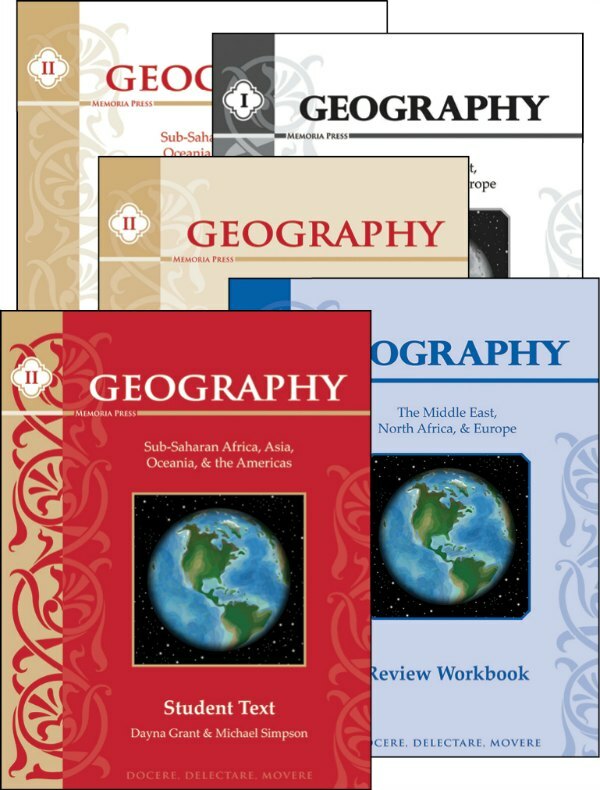 We will be finishing up our Geography I studies soon and moving on Geography II. I’m shoring up some of my own geography shortcomings by studying along with her. Rachel loves reading about the various countries around the world, but really needs help with map skills. We’ve instituted map work a few times a week with WonderMaps— I can easily create a map for the area we’re studying and have her fill it in for review. Are you using any of these Memoria Press materials? Have questions for me? Chat me up in the comment box. Looking for other ages and stages? Don’t miss Second Grade/Simply Classical, as well as our plans for Preschool and Junior Kindergarten later this week. Thank you for blogging about Memoria Press! 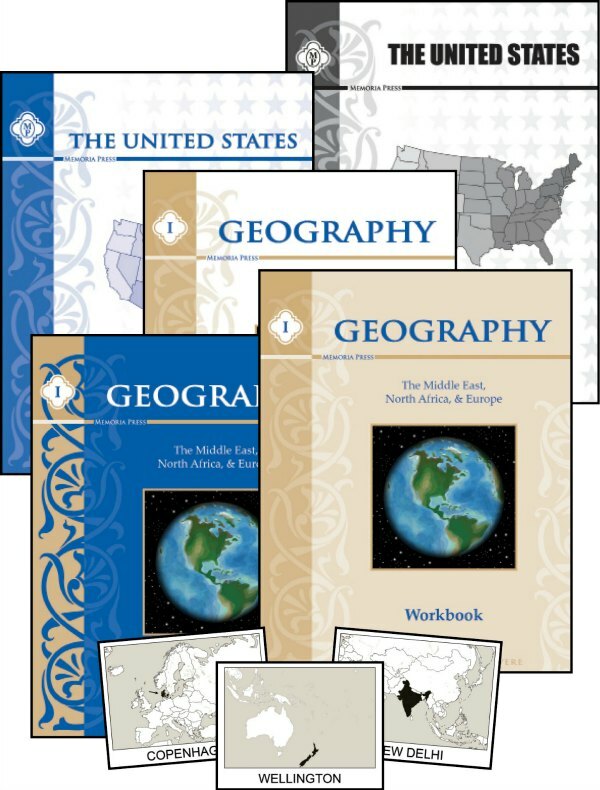 This will be our 1st year with MP, with a 2nd grader, 1st grader, & jr. K. We used another Catholic homeschool boxed curriculum for the last 2 years. How do you manage class time with the kids in different levels? 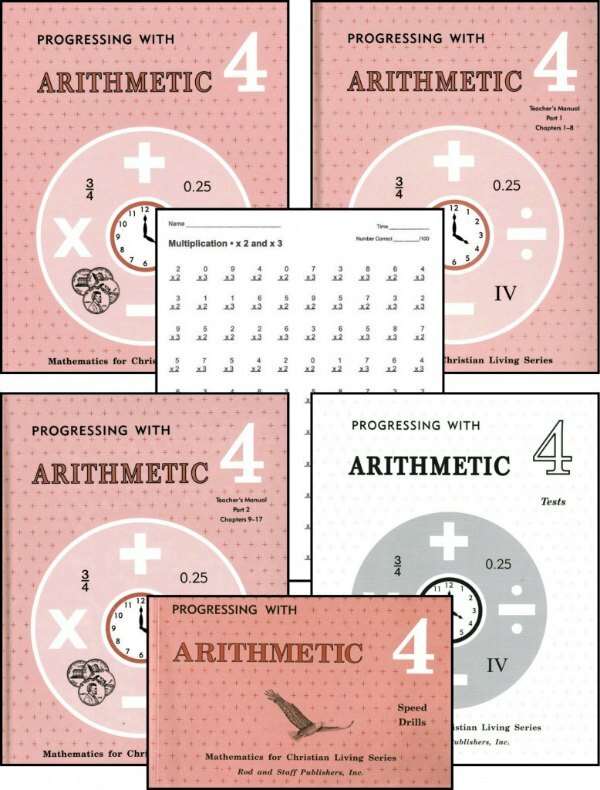 Do you have the kids all do math at same time, or stagger math throughout day? We started last week, & I’m overwhelmed with the “mom, come look”., “mom, come help” all at the same time.! Thanks in advance for any advice! Thanks for stopping by! I’ll be sharing our 2nd grade and junior K/preschool soon. This is a tricky one – but I believe in simplifying for sanity sake. Pick ONE level for enrichment (read alouds, crafts, art, music) and do that with EVERYONE. Your older child will still love the read alouds, crafts, etc, and you wont be chasing yourself nuts trying to do all.the.things. You could do the same approach for Bible Study — take the 2nd grade Bible Study, for example, and read it to everyone. At this age …. we call it ‘at elbow’. You, as the teacher, really have to be right beside them. There’s not a lot of independent work. The way MP is set up, it’s to establish good routines and expectations. Then, when the student is ready, they’ll begin to pull away from you a bit. It’s slow and steady, but I’m seeing much independence in my oldest (rising 5th grader now). Try this post as well for combining ages …..
Great advice! I hadn’t considered starting the kids separately, but that actually makes a lot of sense! And yes, I agree with the “at elbow” stage. I fold clothes while I watch them work, pointing out pencil stroke mistakes or math problems as we go. I have been considering MP for a couple of years but just couldn’t convince myself to take the plunge. I worry about it not being Catholic curricula. Have you had any problems with any of the curriculum being anti-Catholic or overly protestant? All of the samples I have seen are just beautiful, and we are already using Latina Christiana and my son loves it. Thanks.